Calculation of the correlation of human capital and shareholder value. 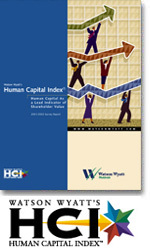 Explanation of Human Capital Index of Watson Wyatt. Watson Wyatt developed a set of measures quantifying exactly which Human Resources practices and policies have the greatest correlation to shareholder value. 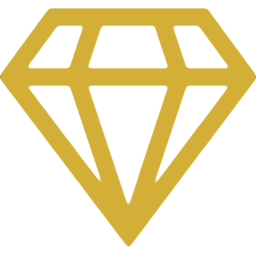 Using those to assign a single Human Capital Index (HCI) "score" to each surveyed company allows them to deliver conclusive results. Where there are superior Human Resources practices, there is higher shareholder value. In other words: the Human Capital Index shows that if an organization is doing better in managing its human capital, it will also be better in its returns for shareholders. Responses are matched to objective financial measures, including market value, three-year and five-year total returns to shareholders (TRS), and Tobin's Q, an economist's ratio that measures an organization's ability to create value beyond its physical assets. Public data from Standard and Poor's databases are used to access the financial information needed. To investigate the relationship between Human Capital practices and value creation, a series of multiple regression analyses were conducted, which apparently identify a clear relationship between the effectiveness of a company's human capital practices and shareholder value creation. Thirty key Human Resources practices were associated with a 30 percent increase in market value. Total HCI scores were created for individual organizations so that results could be expressed on a scale of 0 to 100. An HCI score of 0 represents the poorest human capital management, while a score of 100 is ideal.